Description: Rich tonkotsu based miso broth topped with chasu, ground pork, negi, lettuce leaf, chili paste, and a lemon slice. 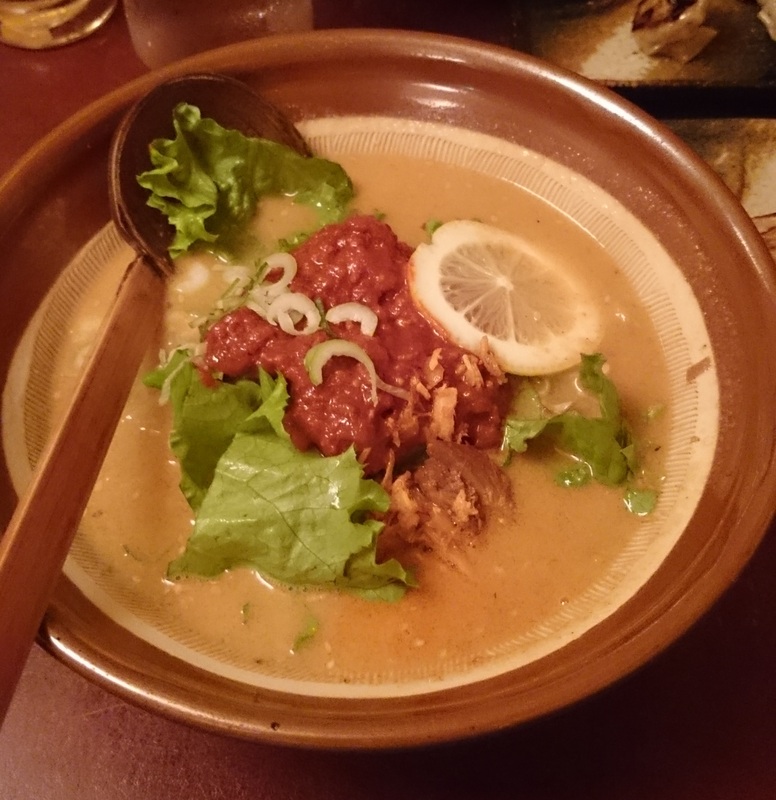 REVIEW: Started in 1977 Ginza ABC Ramen has been quite popular for a long time. The first thing I have mentioned when showing anyone the picture below, is to ignore the lettuce and lemon slice. The have no bearing on the dish itself. The actual broth and noodles are really solid and have a great flavor. With the chili paste mixed into the soup it had a nice punch and great garlicky/chili flavor that complemented the miso brother quite nicely. Noodles are handmade on site and were really well done. The place itself is a dive and really does not show off how good the ramen actually is so don’t be scared when you first walk in and feel like turning around and heading out. The food is great. Description: Blend of miso based tonkotsu soup with marinated ground pork, chasu, negi (green onions), seaweed, chili oil, cayenne pepper strings, and seasoned boiled egg. 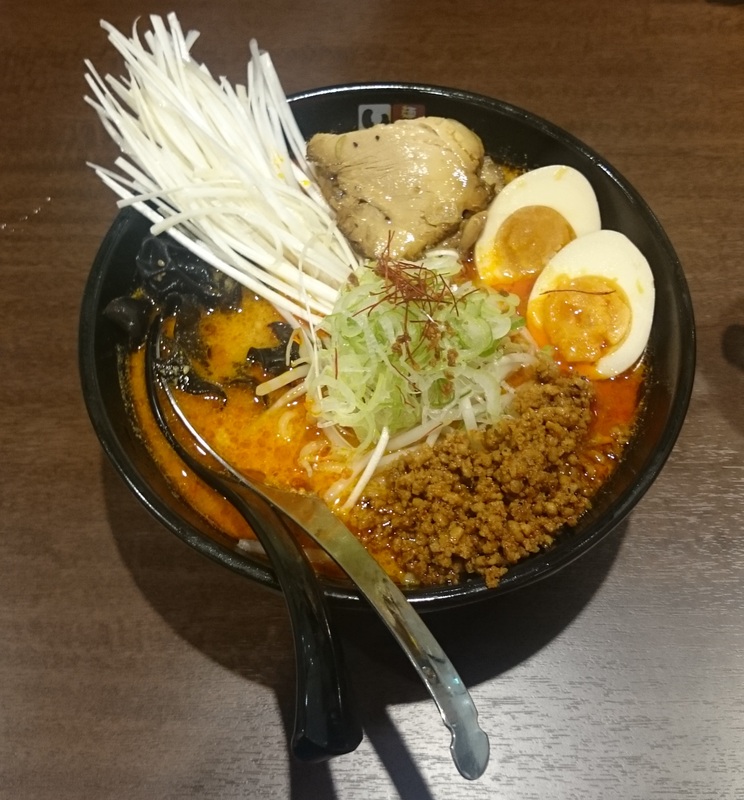 REVIEW: Ramen Iroha’s version of Tantanmen had an amazing robust flavor and super fresh ingredients. The noodles were perfectly cooked and the portion was just right. As this is one of my favorite types of ramen I was very happy with my choice. As expected it was nice and spicy with some good hits of heat from the cayenne pepper strings. The fresh crunchy negi strings really added a great balance to the spice as well. Only complaint was that it was a bit too oily for my liking, but it didn’t really take away from the overall dish.